Let me preface this by saying I don’t usually read graphic novels, so I don’t know that I’m the best judge on whether or not they are good or bad. Also, I don’t know much of anything about the history of Iran – or didn’t, before this read – so I can’t vouch for accuracy. But I came out of this, read in just one sitting in the evening, feeling like a slightly different person with a different perspective on some things in the world. In other words, I found it incredibly powerful. 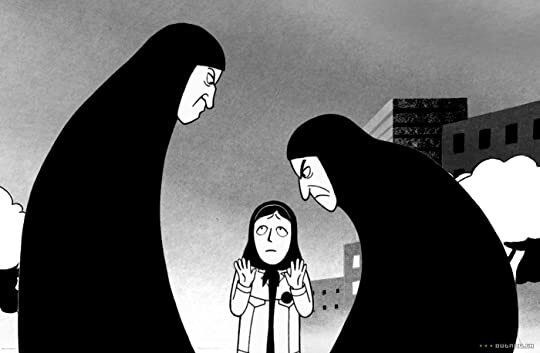 Persepolis traces the author’s childhood in Iran, and covers so many different topics, from religion and politics to family and her love of punk rock. 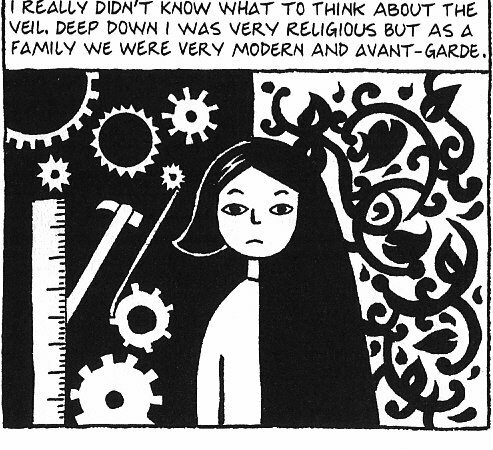 It’s about her life, and how it was affected by the war and upheaval in her home country. It’s very approachable because of the format. You learn so much, but you don’t realize it. 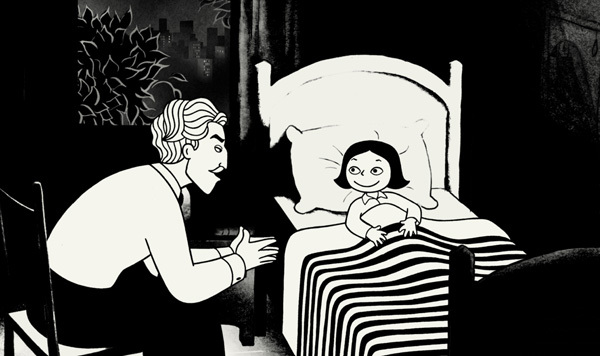 It’s also presented through the eyes of a child, which makes it both easy to digest and all the more tragic and emotional. When she is forced to change who she is as a person, it makes your heart ache. When she is grabbed on the street for the incredible sin of wearing a denim jacket, you’ll remember your own moments of rebellion from your pre-teen years, and will imagine what would have happened if any breach you made of the rules could have ended with you dragged off by strangers to be whipped or jailed. I loved this book. I’m unsure why it’s been banned in various places, other than the desire to hide humanity/history of middle eastern people and cultures. I chose it for the “banned” book slot of my 2016 Reading Challenge, and am glad I did. I am also glad, again, for this challenge and it’s push to get me out of my reading ruts! This is another book I might not have picked up otherwise, and I will always be glad that I did.